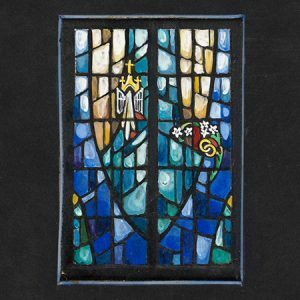 Charles J. Connick (1875-1945) was one of the pre-eminent artists in stained glass in the early twentieth century; his stained glass studio created approximately 15,000 windows in over 5,000 commissions from 1912 to 1986. 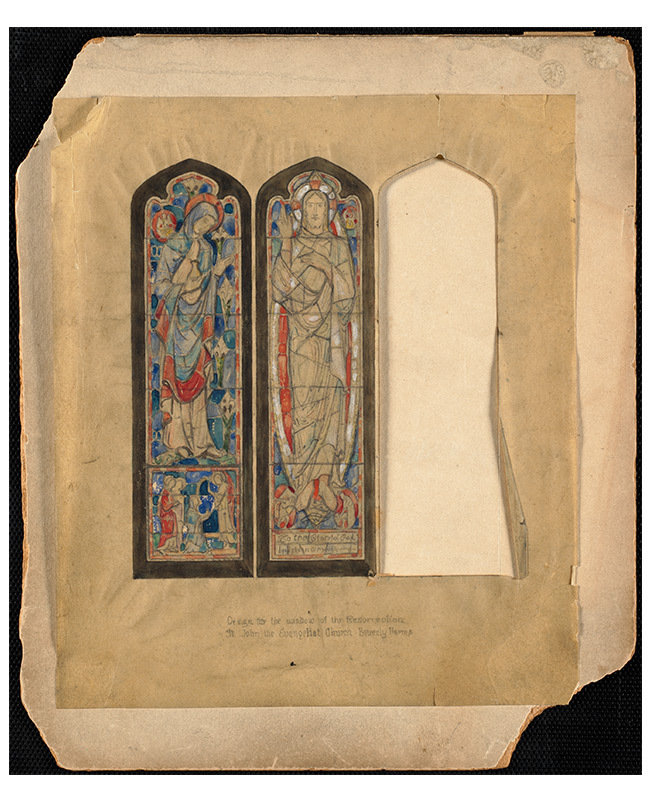 The Boston Public Library's collection includes 2,150 studies for these windows, along with over 10,000 black and white photographs of Connick windows, both completed and in process. 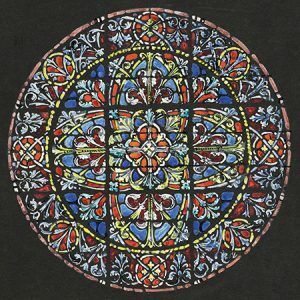 Executed in watercolor and gouache, these studies provide critical insight into the nature and range of an artist's working process, as well as a valuable glimpse of the artist's own hand, visible in the minute corrections and methodical plotting of forms often not seen in the finished product. They are also visually stunning works of art in their own right. The Associates of the Boston Public Library underwrote the meta-data creation and digitization of gouaches for New England properties with a grant from The Boston Foundation for Architecture. To see more of the BPL’s Connick gouaches visit the Digital Commonwealth. 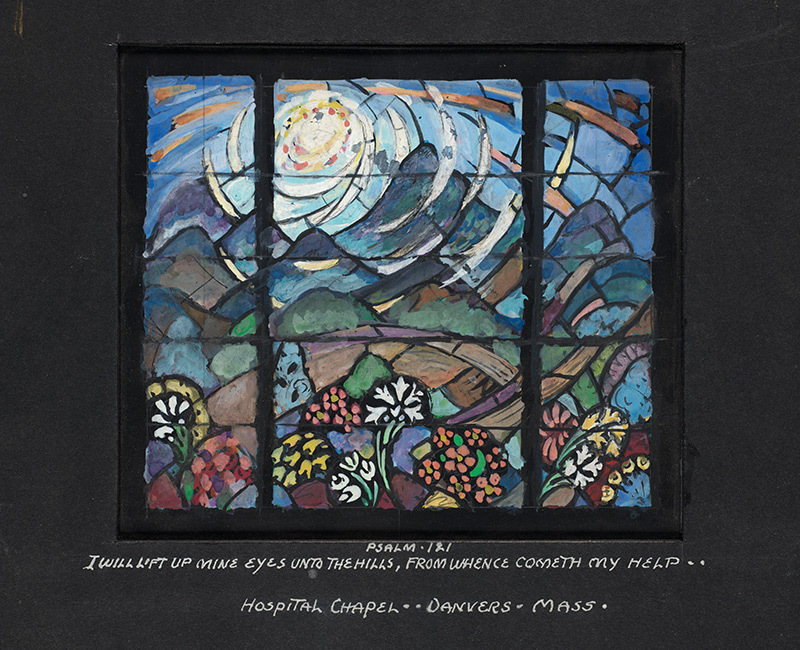 Executed in watercolor and gouache, these studies provide critical insight into the nature and range of an artist's working process, as well as a valuable glimpse of the artist's own hand, visible in the minute corrections and methodical plotting of forms often not seen in the finished product.